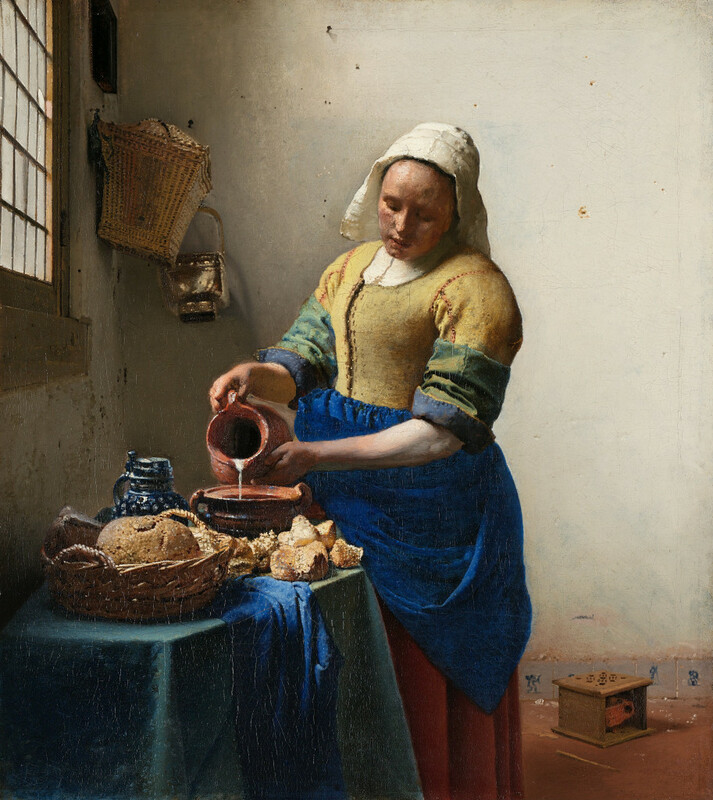 I often wonder how it’s possible an artist living and working today can say Vermeer, who lived and worked 365 years ago, could be an influence. Isn’t there too much time, space or cultural differences between the two for there to be anything in common? Yet in the video from The School of Life I get a sense that there is a continuity with Vermeer’s life in Delft centuries ago to life now. At least there is for me. At least I’m able to sense it. For the last ten years, I’ve felt that my life as a painter and my family life in my home has worked in increasing tandem. It’s one of the reasons I consider Vermeer an influence. Not only his paintings and technique, but the parallels I think might be in the way we worked in his home surrounded by his family. …a plain white wall can be a major source of delight. I watched Tim’s Vermeer a few months ago. I found it frustrating the way Tim dedicated so much time to constructing Vermeer’s space and frantically wracked his brain to find cheats and hacks for painting. How could such a smart man with so much time and money completely miss the point of what Vermeer was doing? To become so obsessed over the technical that you utterly miss the meaning of the paintings. It was sad the way Tim wanted to give up on his Vermeer hack toward the end. Perhaps Tim would have had an Oscar-worthy documentary if he started out trying to crack Vermeer’s code and ended up on a 10, 15 or 20 year journey as an artist making his own unique work based on his own observations on the world around him.